Thomas Aquinas (Tomasso d'Aquino) was born to an aristocratic family in a castle four miles north of Aquino in southern Italy. When he was five years old Thomas was sent to school with the monks at Monte Cassino. It didn't take long for it to become apparent that he possessed a sharp, curious intellect and a religious temperament. Nine years later he was sent to study at the University of Naples. The university had become an important center for the new knowledge that was beginning to spread in the medieval world and where Classical learning was being rediscovered. There, Thomas was introduced to Aristotle's treatises on logic and he attended lectures on natural philosophy (science). At the same time he found himself drawn to the Dominicans, a monastic order founded twenty-five years earlier by St. Dominic. To his family's dismay, he joined the order and gave up his studies at Naples. He set off to Paris, known then as the greatest center of learning in Christendom, to study with Albertus Magnus, one of the finest scholars of the time and known for his commentaries on Aristotle. 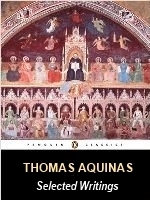 Although Thomas Aquinas was a professional theologian, his writing and works are philosophical in nature. 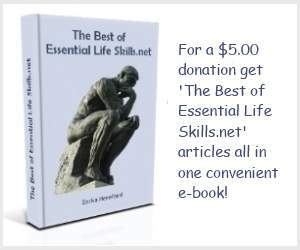 He is well known for reconciling the philosophy of Aristotle with Christian doctrine. In doing so, he aimed at establishing a harmonious coexistence between faith and reason and pointing out that the tenants of faith do not contradict the conclusions of philosophy. His extraordinarily, large volume of writing, a testament to his intellectual capability, resulted in many achievements, including the 'Five Ways' or proofs of the existence of God (in his Summa Theologiae). In the first of his proofs, Aquinas says that the existence of God can be proved by considering the concept of motion. In studying the works of Aristotle he concluded from common observation that an object in motion, such as the planets or a rolling stone, is put in motion by some other object or force. From this, he concluded, there must have been an unmoved mover who first put things in motion. That would be God. The second proof deals with the issue of existence and cause. Again, according to Aquinas, common sense observation tells us that no object creates itself and that all causes always operate in a series to which there must be a first cause of the series, or there could not be a series at all. His conclusion is that there is a thing, which causes itself, and that is God. In the third proof, Aquinas notes that we observe that things in the world come to be and pass away. However, not everything can be like this for then there would have been a time when nothing existed. If that were true then nothing could ever have come into being, since something cannot come from nothing. Therefore something must always have existed and that would be God. These first three proofs of Aquinas have often been called variations of the Cosmological Argument (an attempt to prove that God exists by appealing to the principle that all things have causes). In the fourth proof Aquinas offers a version of the Ontological Argument (the proof that God exists because our conception of Him exists). 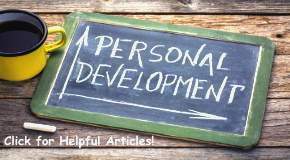 A thing may have varying degrees of a quality e.g. more or less hot, good, handsome, etc. These varying degrees of quality are caused by something that contains the most or perfect amount of that quality. That which is the source of, and contains most perfect of all qualities, is God. Finally in the fifth proof, Aquinas refers to Aristotle's notion of purpose in that all things aim towards some ultimate goal or end. The order and design found in nature suggests a highest Being, God, at the Source. 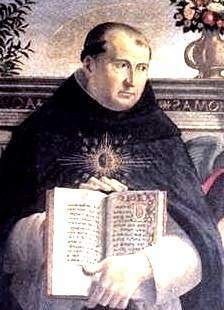 Thomas Aquinas was the quintessential master of Scholastic philosophy. His influence has been vast not only in Western theology, but in Western philosophy. Two of his most famous works are the Summa Theologiae and the Summa Contra Gentiles. His prolific writings also include considerations on human nature, government, law, ethics, metaphysics and epistemology, among other subjects.